"We're Gonna Be in the Hudson"
Hey guess what. 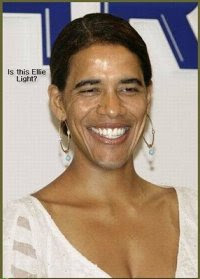 Ellie Light, the now famous writer of a multitude of pro Obama letters to the editor, turns out to have a Facebook page. Ellie , you may recall, got her letters published in 42 different papers in 18 different states and claimed to be from dozens of different hometowns. She had nothing but wonderful things to say about our president. Congratulations to the Classical Values website for making the find. The website includes a charming picture of Ellie seen on the left (how appropriate). I can't help but feel there's something familiar about that face. What do you think?